Since the 1950's Wyvern have a proud history of pioneering design and innovation. 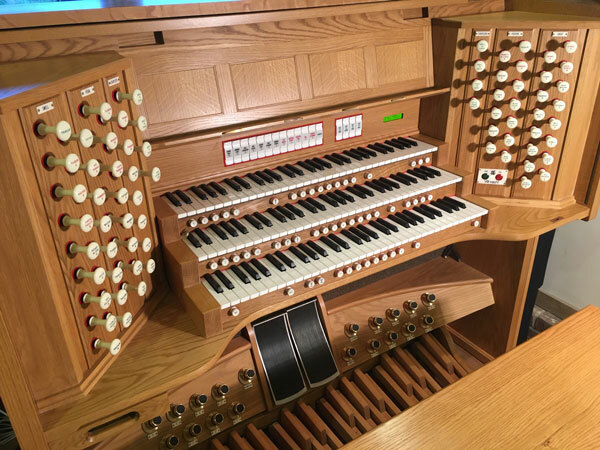 We hope you find our site informative, demonstrating how developments within the company's progression are reflected both in our current range of standard instruments and our bespoke hand-crafted church organs. Fabulous sound! – Bach as it would have sounded when he wrote it! I really am chuffed with the Toccata 346. I had a marvelous three hours playing the wonderful 3 manual organ of St Ninians Old Parish Church in Stirling. I was like a wee child with a new toy. Fabulous.